Andrew began his life as an Assembly of God missionary in 1994 with an internship in Albania. He married his wife Stacey in the same year and graduated from Valley Forge Bible College with a degree in World Missions. Later, he completed a second degree in Modern Foreign Language from Mary Washington University in Fredericksburg, VA. Stacey is originally from Lakeland, FL and also graduated from Mary Washington University with a degree in English. 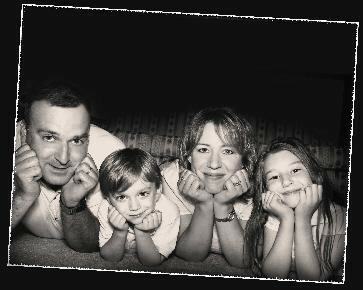 Andrew & Stacey served as missionaries in the Republic of Macedonia from 1998 - 2004, along with their 2 children. Together they helped refugees from the Kosovo War and introduced the Royal Ranger ministry, which is co-ed in Europe. They also assisted in spreading the Ranger ministry to Bulgaria. Andrew currently serves as the RRI Communications Coordinator and Africa Liaison in Nairobi, Kenya, along with his family. You can learn more about their present ministry by visiting: http://www.royalrangersinternational.com or to see archived information about the ministry they pioneered in Macedonia, vist the link below.